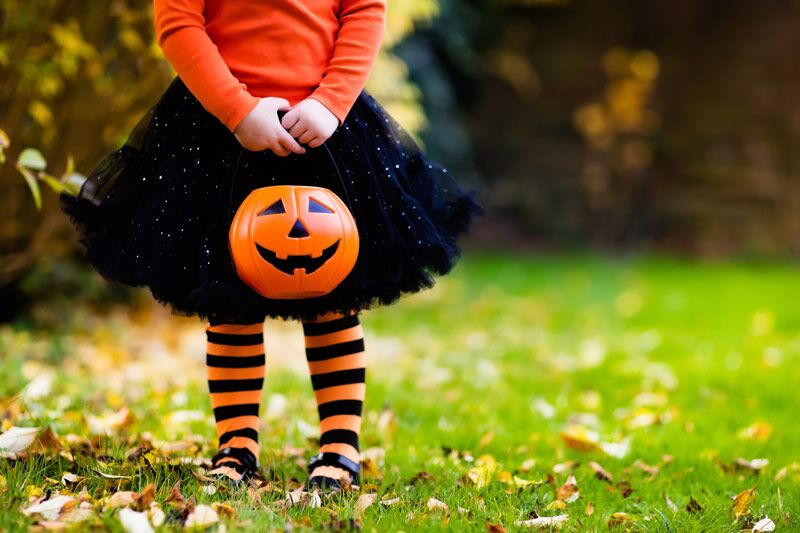 Try out these tips to keep your trick-or-treaters safe. Halloween is right around the corner, which means your kids are probably bursting with excitement! However, it’s important that their enthusiasm does not make you forget about their safety. If you want your kids to have a safe and truly happy Halloween, make sure you take these trick-or-treating safety tips. Make sure your child’s costume is made of non-flammable materials. This will keep them safe if they happen to come into contact with decorations that use real candles. If your child’s costume involves a prop (such as a witch’s broom or a ninja sword), make sure they know not to swing it around, as it could cause injury to someone else. Before your child sets out for the night, make sure they have enough layers to stay warm and make sure they are wearing flat, comfortable shoes. Younger trick-or-treaters should always be accompanied by a responsible adult. Older kids don’t necessarily need parental supervision, but they should travel with a group of friends that you know and trust. Lay out their boundaries. Make sure they understand how far they are allowed to travel on their quest for candy. Have your child carry a cell phone. This way you can keep in contact and you can use it to track your child’s location. Review “stranger danger” rules and make sure your child knows that they should never enter a stranger’s home or vehicle. Warn your child not to run around or suddenly dart into the street. Ask your child not to eat any candy until you have a chance to look through it all and pick out the potentially dangerous treats. These are some of the suggestions you should try to ensure your kids stay safe as they trick-or-treat. Want another way to keep your loved ones safe this Halloween? Make sure you have the right personal insurance protections in place. For assistance with all your coverage needs, contact the experts at Gant Insurance Agency in McKinney, Texas. We are ready to get you covered today.